Miming is a fun and simple game to play with your kids ! Can you name me a game that is simple, super fun, straight to the point and enjoyable for everybody ? A miming game of course ! Here are 30 cards that you can download, print, laminate and cut to create your own Kidi’mime game. The rules are simple. Shuffle the deck and place it face down. 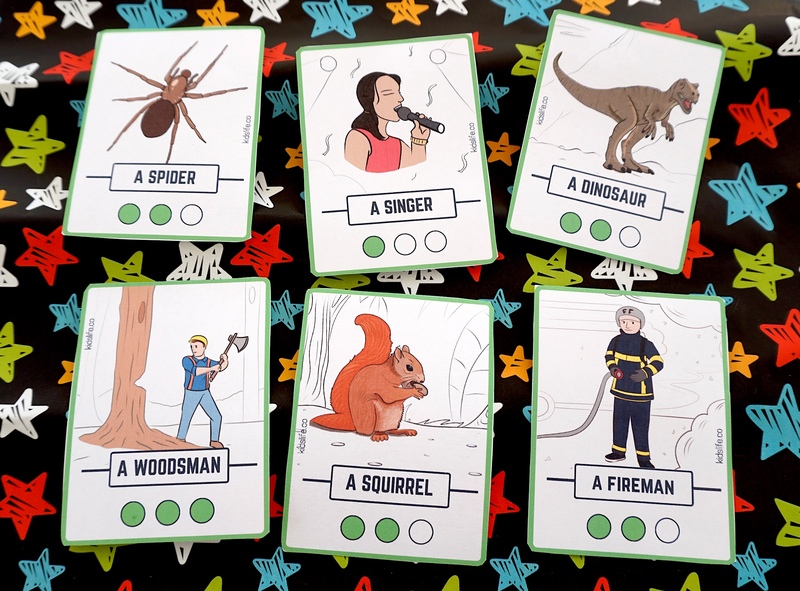 Then draw the top card and mime the character or animal on it. The number of green dots (1 to 3) indicates the card difficulty level. Both the mime and the person who guesses score points equal to the difficulty level. 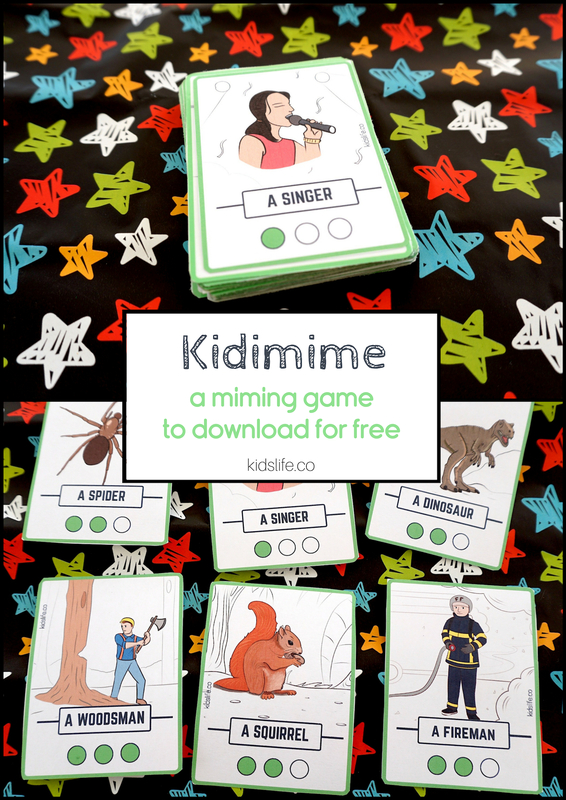 To download our Kidi’mime game click on the link below. I hope you will enjoy playing this fun game. See you soon with more activities !